CIPET JEE 2019 admit card will be made available to the candidates only after their successful registration and fee submission. CIPET JEE is university level entrance test organized by the authority of CIPET. Through this test, candidates can get admission in the PG diploma courses in Plastics Testing and Quality management, Plastic Processing and Testing, Plastic Mould Technology, Plastic Technology and Plastics Mould Design with CAM/CAD. 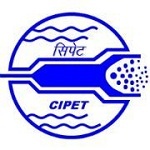 In this article, we have provided the complete details related to CIPET JEE admit card 2019. CIPET JEE 2019 admit card can be downloaded by the candidates through online mode. Candidates get thier admit card through their login credentials. Candidates do not forget to carry the admit card on the exam day. Without having admit card, no candidate will be allowed to enter in the exam hall. The admit card will also be required at the time of admission process. So, candidates should keep their admit card till the admission process gets over. Candidates can check below the official dates of CIPET JEE 2019 admit card, exam date and result declaration. Candidates should check all the dates carefully and follow their respective events for the exam. Visit the official website of CIPET (link will be given above). A page of applicant login will be opened in a new window. Now candidates have to enter the details like date of birth, mobile number, etc. in the required area. Submit the details filled-in details and click on ‘Submit’ button. The admit card will be displayed on the screen after which candidates can download it. Also take the printout of it for use in further admission process. CIPET JEE admit card will contain important instructions for candidates regarding the examination. Candidates should strictly follow the instructions written on the admit card. Candidates must not forget to carry the admit card/hall ticket along with the photo id proof with them. Candidates must report to the allotted exam center before 1-2 hours of the exam. Original as well as the Photostat copies of the documents must be carried by the candidates. Electronic devices like mobile phones, calculators or other prohibited items must not be carried inside the examination hall. Candidates must not get indulge in any kind of restricted activity during the exam as it will lead to the rejection of the candidature of the candidate. Ahmedabad, Bhubaneshwar, Bhopal, Bengaluru, Chennai, Chandigarh, Coimbatore, Cochin, Delhi, Dehradun, Hyderabad, Guwahati, Jodhpur, Jammu, Jaipur, Lucknow, Kolkata, Patna, Nagpur, Mumbai, Surat, Ranchi, Raipur, Vishakhapatnam, Vadodara etc. CIPET JEE 2019 admit card also called hall ticket is a very important document containing the details of candidate and the entrance exam applied for. The admit card will be issued to the candidates those application form and application fee will be submitted successfully. If you have any query related to CIPET JEE 2019 Admit Card, you can ask your query in the comments section below.